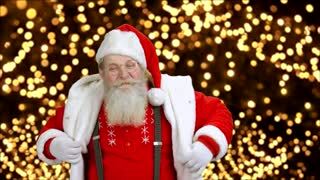 Old funny Santa Claus is dancing. Cheerful Santa Claus in glasses on New Year lights background. Merry Christmas and happy New Year. Cute young man giving Christmas gift to you. Handsome teen boy handing red gift box to camera on blue bokeh background. Merry Christmas and happy New Year. Senior Santa showing case full of money. 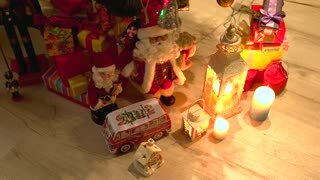 Happy authentic Santa Claus on Alpha Channel background. Merry Christmas and happy New Year. 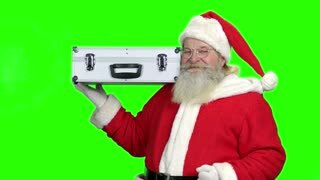 Santa holding case with cash for Christmas. Silver case with dollars in Santa hands. Merry Christmas and happy New Year.